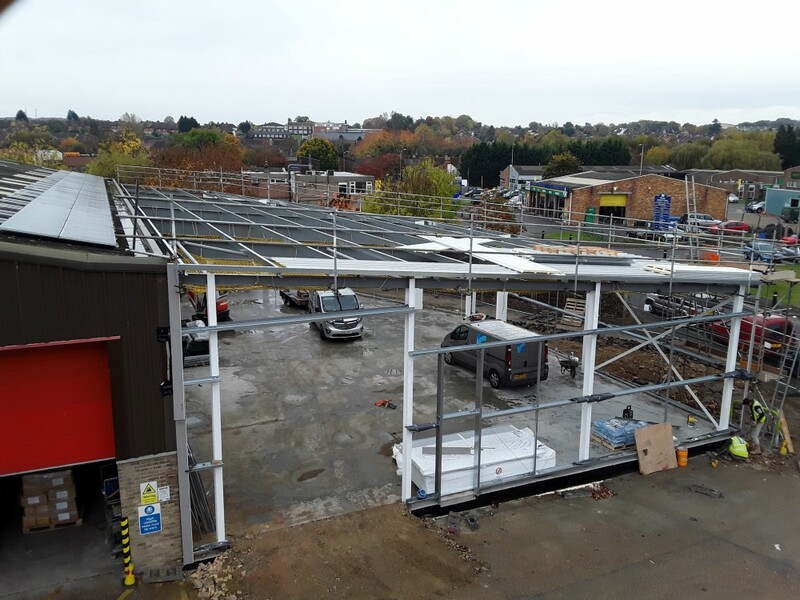 As we were building Big Box Tonbridge, a call came in from a company around the corner that had seen the building going up and wondered how we could help them with their new project for a warehouse extension. With the first introductions beginning in January 2016, we worked with Commotion Distribution to design and construct a 4,850sq.ft. extension. Working closely with the client and their representatives, we got to work on understanding what they needed from their building, how they needed it to work with them and designing them a functional space. Once that happened and we had gained planning consent, we started work in September 2016. We worked to ensure that not only did we deliver their extension within the necessary time and budget, we also made sure that we caused no disruptions to their working environment or to their business. Working for a little over three months, we moved forward with the project. From groundworks and steel erection to cladding and fencing, we made sure that we stuck to the programme to make sure that we finished the extension just before Christmas 2016, giving them their new workspace ready for the new-year. “From first introduction to the handover of the completed project I have found Kent Structures to be a reliable, dependable and professional company. Our design and build project was to extend our warehouse by 450m2 with associated works to the existing building and site. Kent Structures provided a design and build option, fully costed and programmed, which suited our needs. 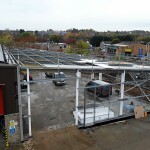 From commencing the works on the date promised to practical completion, on programme and on budget, 4 months later, they managed to execute the works around us, causing us the minimum of disruption as we continued to operate our business. A small, but very capable team, led by Dan, our site foreman Bruce and worker Kris, coped admirably with the pressure of having to work under the clients gaze and were open to every suggestion, change of plan and additional work that was thrown at them.